Ready to get your hands-on and become a MyoMobster? 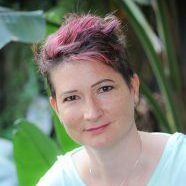 Certified Advanced Rolfer™ & Structural Integration expert Lu Mueller-Kaul shares her Myofascial Mobilization techniques that you can use right away to get quick results (and relief) for your clients. Learn the most effective techniques for pain relief and better range of motion. You’ll be able to apply deep techniques to give your clients the release they crave, while using correct leverage of your body weight instead of muscle. So your own body will thank you as much as your clients will! 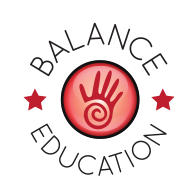 This course includes Posture and Movement Evaluation, Myofascial Mobilization (MyoMob) techniques for the whole body, and specific treatment protocols and strategies for low back pain and neck/shoulder pain. Lu will also address more general strategies for treating pain, tension, and limited ROM so that students can easily apply the practiced techniques on all areas of the body. The course is 80% hands-on with a focus on body mechanics. In addition to the typical positioning prone and supine, therapists will work with clients lying on the side and seated. Practice is in short sessions for maximum efficiency, so that students can either work with their clients in half-hour sessions, or they can put some of the practiced techniques into their own routines in order to address specific problems. Wear comfortable clothes, ideally a bra/swimsuit top the women can be seen in and stretchy pants/shorts. MyoMob is a system of plug and play techniques that you can put into your massages, physical therapy sessions. The techniques themselves are aimed at mobilization of tissues like fascia, muscle, tendons, ligaments–the soft tissues around the bones, not the bones themselves. Often, the results after a treatment can feel as if the bones had been adjusted, thought, because the pull from myofascial strains has eased. This is simple, applied biomechanics. The techniques are nothing new. 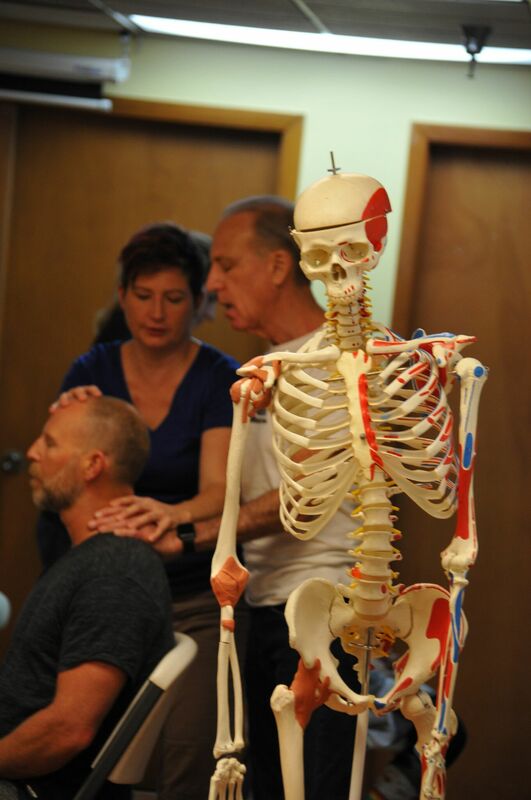 You’ll find them in classes for medical massage, manual therapy, osteopathic treatments, and in various traditions all over the world. You’ll probably see them used and you think “oh, I’ve seen that, that’s polarity,” or insert some other fancy modality. You might be very familiar with what we do in class. In that case, what you learn might be better body mechanics, or an evaluation technique that makes it possible for you to see structural challenges in your clients more quickly than before, or you’ll be able to help your clients gain better awareness. You should leave a MyoMob workshop with some new tools to use, and with more clarity of how to put a session together that helps your client quickly and that doesn’t stress your body. MyoMob is a style of work that is decidedly NOT holistic. It’s not meant to integrate the whole body. It’s not a treatment that needs to be completed.There really is no routine in MyoMob. The goal of a workshop is that you’ll be able to make up your own session based on the client’s needs. MyoMob techniques (or, as some students call them, “MyoMobs”), can be put into ANY session that makes it possible to put your hands on people. Even if you never get to practice a whole MyoMob session, you’ll use some techniques, and your clients will leave not only relaxed, but also with surprising results, especially regarding range of motion. give a deep tissue massage the kind of start that will let the client relax in the first few minutes, because they’ll feel the deep sensation they crave the instant you put your hands (or, more likely, forearms) on them. do a bit of work in two minutes to help a friend who “has slept wrong” and has trouble turning their head into one direction. So what is it we actually do in MyoMobs? We use one of our “tools”, like knuckles, a forearm, rarely an elbow, or, in delicate areas the pads of our fingers at about a 45 degree angle to the client’s body, apply pressure skin on skin, without lubricant in between, and we wait for the typical myofascial glide. That’s it. All the learning and practicing happens because it’s hard to feel what it’s supposed to feel like, and because we’re so used to “doing” things to our clients that we have trouble just hanging out. But MyoMobs are NOT myofascial holds, we’re not waiting for several minutes–the aim is to get movement into the tissue, and if that’s not happening, we need to change the angle, or the area, or address it in a different way. 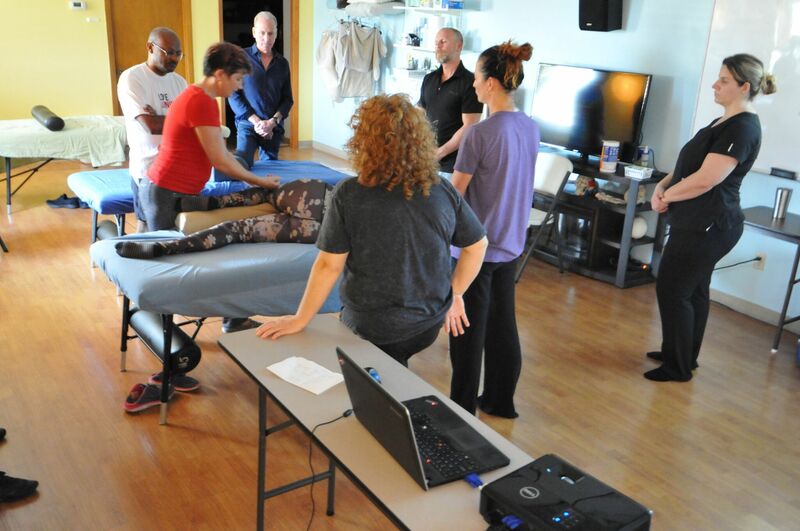 MyoMob workshops are 95% hands-on work, not lecture, because it’s important to feel the myofascial glide in different bodies, skin textures, ages, and the instructor-student ratio makes it possible that every student feels how the instructor applies the treatment.